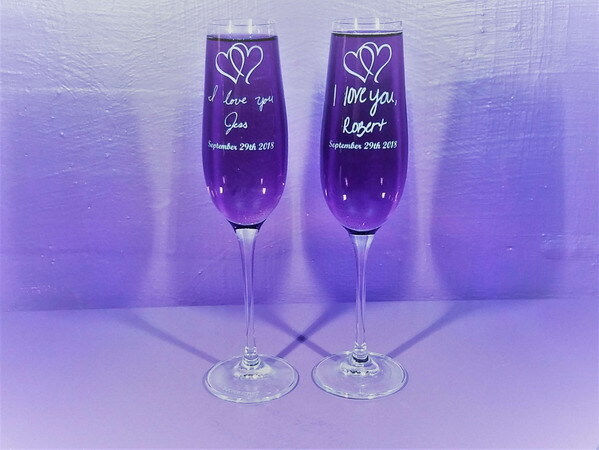 These flutes are personalized with YOUR handwritten text and/or artwork. For the best results, use black ink or Sharpie on white paper. You can either scan the message or take a photo - if you'd like to use a photo please take it in bright light with no shadows. 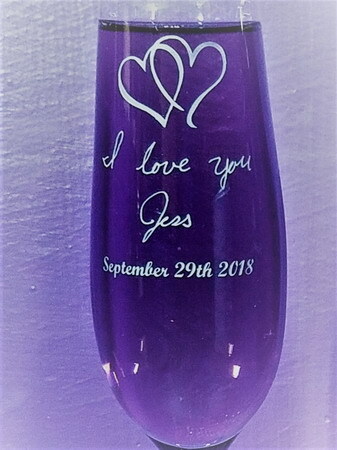 You can send the artwork/text to me at artwork@fantasyglassworks.com. I will let you know if there are any issues. 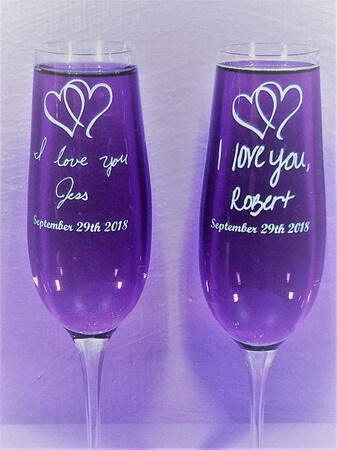 Custom Champagne Flutes, Set of 2, personalized with YOUR handwritten text and/or artwork on the lovely crystal Titanium Flutes. 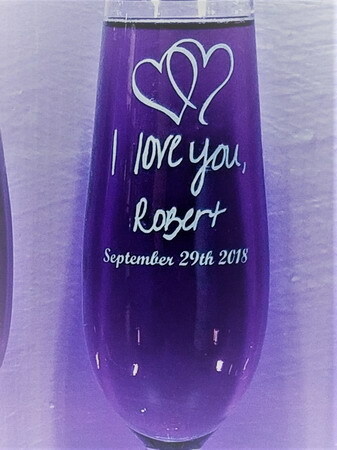 The example above shows an entwined hearts design and regular text date, you can handwrite your own date, leave both off entirely or anything you'd like. 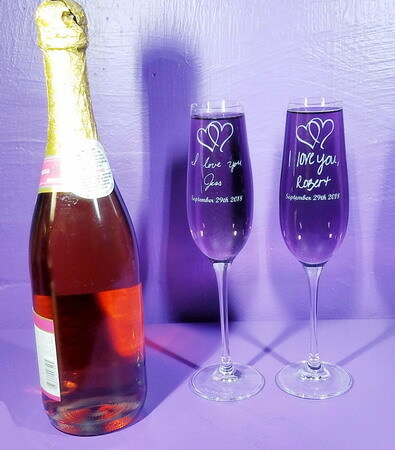 These toasting flutes are 9.5 inches high and hold 7 ounces each. For the best results, use black ink or Sharpie on white paper. You can either scan the message or take a photo - if you'd like to use a photo please take it in bright light with no shadows. You can send the artwork/text to me at artwork@fantasyglassworks.com. I will let you know if there are any issues. Made in Europe from brilliant lead-free crystal, this chanpagne flute contains trace amounts of titanium for added brilliance and strength. A favorite of many world-class sommeliers and chefs.